TOKYO, Dec. 1 (Xinhua) -- Japan's Emperor Akihito is expected to abdicate on April 30, 2019, Japanese government said on Friday following a meeting of the Imperial House Council. Japanese Prime Minister Shinzo Abe said the meeting, which involved the prime minister, politicians, the judiciary and imperial family members, decided on the abdication date. Japan's top government spokesperson, Chief Cabinet Secretary Yoshihide Suga told a press conference that the emperor's abdication date will be reported to the Cabinet on Dec. 5. After the emperor abdicates, his elder son Crown Prince Naruhito will ascend the throne on May 1, 2019. He indicated his wish to relinquish and hand over the throne to the crown prince in a rare video message in August last year, citing his age. 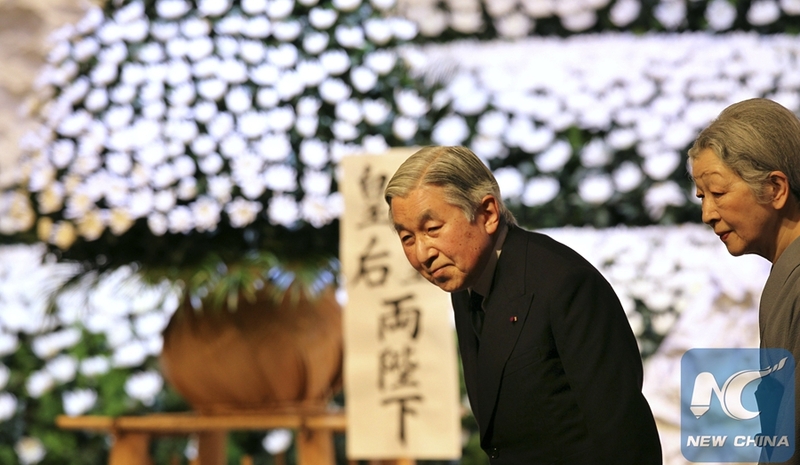 The law, designed specially for the current emperor, would allow Emperor Akihito to be the first Japanese emperor that relinquishes the throne in around 200 years.